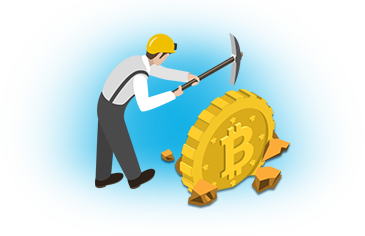 While the Bitcoin is continuing its quest for mainstream adaption, there is still some major issues for most companies using it – It is very difficult to find banks to work with, even if the Bitcoin is fully legal and regulated. This has led to some companies having to close shop as they didn’t have anywhere to do their banking needs and thus couldn’t continue their operations. It has also led to accusations of money-laundering as some companies has had to think outside the box to get their funds out. Now this might soon be history however, as it was announced this week that a group in Switzerland is working hard on opening the world’s very first Bitcoin bank. The group has been preparing for several months, working on obtaining the necessary licenses to open up the bank. The story has been confirmed from several people inside the Switz financial industry, saying that there has been talks with the Financial Market Supervisory Authority from the project group’s side and rumour has it that they will be applying for a license within a few weeks so they can begin their project officially. The group, which consists of eight people, told the press that they have already found investors to invest in the Bitcoin bank and that they are also looking for a place to locate the bank if they are succesfull in obtaining a license. So why is this so important for the Bitcoin industry? The first reason is very clear, as they would be able to offer proper banking for Bitcoin companies. The companies would no longer have to battle banks in order to get proper banking and could instead focus on growing their business. Secondly it would be a major boost in the right direction for the Bitcoin as a whole, as it could officially distance itself from all the shady things of the past and work as a traditional company does, with all that it takes. The different authorities would have one place to go to get information about the financials of a company and easily see if they pay the VAT, taxes and other fees as they should. Furthermore it would make it easier for companies to prove just the same things and for consumers it is also positive as one would know exactly where the company holds their funds. It has not been released yet who the bank will be cooperating with to build their business, as they will need partners from all corners of the Bitcoin industry to open a bank. First and foremost they will need some sort of storage facility for the Bitcoins, so that they are safe at all times and secondly they will need someone to help them facilitate the Bitcoin transfers back and forward. Overall this is very positive news for the Bitcoin industry if the group is succesfull in opening up the world’s first Bitcoin bank. It will make it easier for start-ups to embrace the cryptocurrency and thus make mainstream adaption easier in the future.